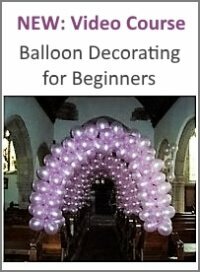 Researching balloon clipart on the web can be a tedious task. Sure, you get tons of results when you google for it, but when you click through to the sites they often refer you to yet another site, or it takes ages to find out what the graphics cost and how you can use them. Because I know how frustrating this can be, I have taken the time to do the research for you. Not only will you find advice about the different copyright and usage rights ("free" does not necessarily mean "without cost"), but also a selection of sites where you'll get the perfect balloon clipart for your needs. Illustrations, line drawings, pictures and other graphics that can be inserted in artwork or in a page layout, usually royalty-free. Before digital clip art, artwork from paper books was actually cut, or clipped, from the page and pasted onto the layout, thus the name clip art. "Usually royalty-free" ... what the heck does that mean? Free to use for the royal family, and us poor normal folks have to pay for it? Well, no, everyone has to pay for the use of clipart, unless it is explicitly marked as being "public domain". Royalty-free is a type of a license between the buyer and the seller, which normally allows the unlimited use of the clipart or any other content in the media defined in the license (e.g. websites, e-books, presentations). Each licensing contract is different, so be sure to read the fine print before agreeing. Some may allow reselling of items that include that content, such as a t-shirt or calendar, and others do not. Never allowed, however, is the reselling of the graphic itself, or to offer the free download of it. 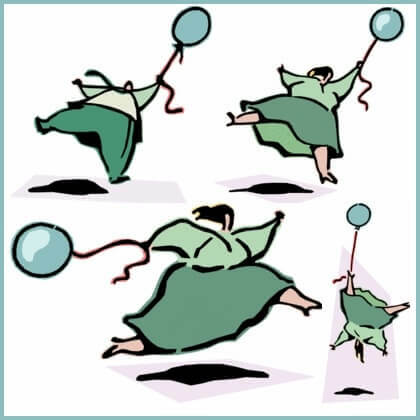 Balloon clipart comes in two types of file formats: as bitmap or vector graphics. Bitmaps or rasterized file formats (e.g. .jpg, .gif, .tiff) are limited in quality by their resolution, as their size is fixed at the time of their creation. So if you need to resize a bitmap image, for example to make it fit on a printout, you might get a blurry result. Because of their small file size and their wide acceptance, bitmaps are ideal for online use or as thumbnails in printed publications. If you need a high quality clipart for a printed publication or for merchandise, you should go with a vector graphic (e.g. .eps, .wmf, .svg). Because its data is geometrically defined, it can be scaled to any size without losing its crisp and clear looks. Besides, vector graphics are easier to edit than bitmaps. A drawback is that vector files are not as widely supported by software as pixel based images. So, where do you go now for your perfect balloon clipart? How big is their selection of balloon clipart? How do I buy the content and what does it cost? Do I need just a single graphic, or do I have an ongoing need? This will define whether you are better off with paying per image or for a subscription. 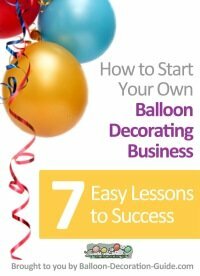 Do I need the balloon clipart for personal or professional use? This will narrow down your search, as some of the resources are for the pro, and others for the hobby user. Size of selection 16,655 results for "balloon clipart"
Search function Sophisticated, searchable by image type, orientation, publisher, primary color and "blank space" (useful if want to add text to your clipart). License agreements For use in private and commercial projects. Example usage: printed materials (up to 500,000 copies), ebook, website, presentations, videos, movies, business documents, disposable product packaging. Cost 2 purchase options: Credit Downloads (free membership required, smallest credit package contains 15 credits for $9; images cost between 2 to 10 credits). Subscription (from $39 for 1 week to $769 for 1 year). Recommendation Great resource for both personal and professional use. 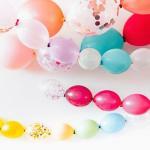 Offers the largest selection of balloon clipart among all the sites listed here. The 2 purchase options cater to every need, whether you are an occasional buyer or a power user. Size of selection 2470 results for "balloon clipart"
Search function Sophisticated, searchable by image type, size, resolution, orientation and publisher. License agreements Varies by publisher; normally for use in advertisements, promotional materials, websites, etc. ; the license agreement is presented before purchase confirmation. Cost 2 Options: Instant Downloads (you can either purchase as guest or register a free account; prices start at $3 per image). Recommendation Again a great resource for both personal or professional use. I especially like the option to purchase as a guest. No need to register an account if you just want to purchase a single clipart from an expansive selection. Size of selection 110 results for the search term "balloons"
Search function Good, searchable by image type, orientation, license type and artist. License agreements Usually allows commercial, editorial or personal use. Professionals can use the images without buying it for a 30 day period, and ONLY for comp, test or sample use in layouts or publishing projects. Cost Between $7.95 and $19.95 per clipart, depending on the resolution. Recommendation Great for designers or marketing agencies, as they can use the content for free under the "comp license". A bit expensive for personal use. Limited selection. Size of selection 6700 results for the search term "balloon"
Search function Basic, searchable by category and color or b/w image. License agreements For use in commercial and/or personal projects. Examples of projects: Web sites, presentations, newsletters, brochures, advertisements, announcements, labels, e-greetings, Web templates, vinyl cutting, routing, engraving, t-shirts, school projects, screen printing, and mechanical embroidery. Cost Subscription service: Starting at $14.95 for 1 week; 1 year costs $69.95; if you need vector graphics or also want to purchase video files, you need the professional subscription for $295 per year. You can also purchase files individually for $7.95. Recommendation Great value for money. With one subscription you'll get access to over 7.8 million royalty-free clipart images, photos, web graphics, fonts and sounds. Highly recommended, both for personal and professional use. 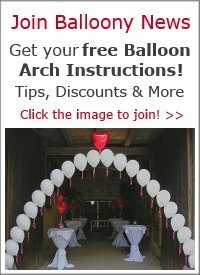 The balloon clipart on my site is mainly from iCLIPART.com. Size of selection 1128 results for the search term "balloons"
Search function Sophisticated, searchable by media, e.g. web graphics, photos, 3D clipart, by publisher, by file type, by date added, by category and keyword. License agreements For use in private and commercial projects. Cost Subscription service: from $12.95 per week to $139.95 per year. Recommendation Subscription gives you access to a big selection of balloon clipart (including 3D clipart), illustrations, photos and even "vinyl ready" images (these are digital files especially suitable for engraving or mechanical embroidery). Ideal if you need high quality clipart for a personal or commercial project. Size of selection 149 animated clipart results for the search term "balloons"
Search function Basic, searchable by media and keyword. Cost Yearly subscription service on Gold, Platinum and Pro Level, for $59.95, $99.95 or $199.95. Recommendation Mainly for the pro. Ideal if you do a lot of presentations. With the Platinum membership for example, you get access to 500.000 animated cliparts, media elements, powerpoint templates, powerpoint backgrounds and video backgrounds. Size of selection 194 results for the search term "balloon"
Search function Basic, either browse by tag or use the search box in the top right corner. License agreements The Open Clip Art Library (OCAL) project aims to create a collection of vector clip art that is free content. All images are placed in the Public Domain. Free to use in personal and commercial projects. Recommendation A great resource for free clipart. Its collection of balloon clipart has grown considerable since I first checked it out. I especially like that you can instantly download each image, without having to register an account. You can help the project by creating and submitting new clipart. Search function Basic, either browse by category or use the Google site search. License agreements Public Domain. Permission is granted for limited non-profit personal use of up to fifteen (15) images from all categories. All commercial or institutional use requires licensing. Cost Free for limited personal use (see above). Recommendation One of the few decent sites that offer "free" clipart. Very limited selection of balloon clipart though. Use if you want to bring a bit of colour into your e-card or personal web page without any cost or license hassle.